Apple TV 4K lets you watch films and TV programmes in amazing 4K HDR — and now it completes the picture with immersive sound from Dolby Atmos.¹ It streams your favourite channels live. Has great content from apps like BBC iPlayer, NOW TV, Netflix, Amazon Prime Video, ITV Hub and iTunes.² And thanks to Siri, you can control it all with just your voice. It's sound, turned up to 360. The best live TV now lives here. Apple TV teams up with some of the world’s largest TV networks and broadcasters to bring you the live content you care about most — from sport and breaking news to your favourite shows. The Apple TV app. Everything you watch, all in one place. The Apple TV App lets you browse content from a wide variety of video services without switching from one app to the next. You’ll find films and TV programmes and handpicked recommendations. The Apple TV App is already on iPhone, iPad and Apple TV, and works seamlessly across them all. So if you stop watching in one place, you can start again later on a different device. The App Store. It's more than just fun and games. The App Store on Apple TV has something for everyone. Entertainment apps like BBC iPlayer, NOW TV, Netflix, Amazon Prime Video, ITV Hub and iTunes. Thousands of top sport, fitness and lifestyle apps. And, of course, your favourite games. The A10X Fusion chip provides a powerful platform to run every last one of them smoothly and beautifully. And when you add accessories like game controllers and headphones, you can take your experience to the next level. Make big things happen on the big screen. Enjoy photos and videos from your iCloud Photos library.³ And let your friends and family share their photos and videos with AirPlay. 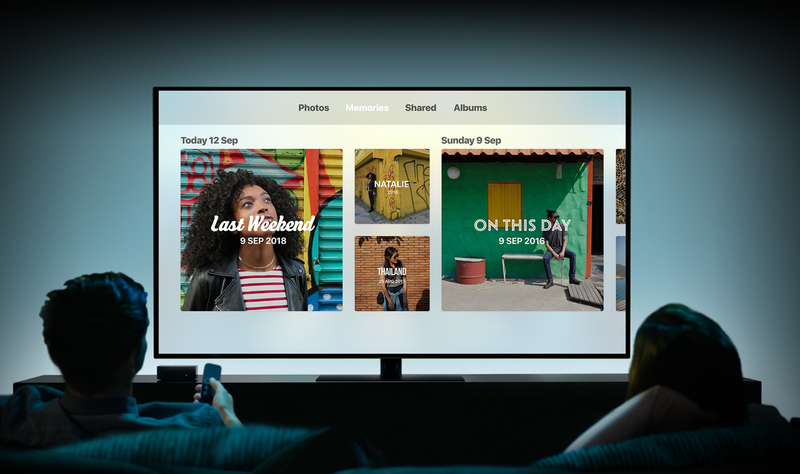 Memories automatically creates collections of your best photos and videos, and Apple TV lets you see them in 4K. If you create Live Photo loops or bounces on your iPhone, you can share those too. Apple Music also connects to your home cinema, giving you access to over 50 million songs — and music videos from the ’80s and ’90s to today’s top artists — all on your Apple TV.⁴ So you can use it to power the party or just listen, watch and discover great music with family and friends. 1.Not all content is available in 4K or 4K HDR. 4K resolution requires 4K-capable TV. 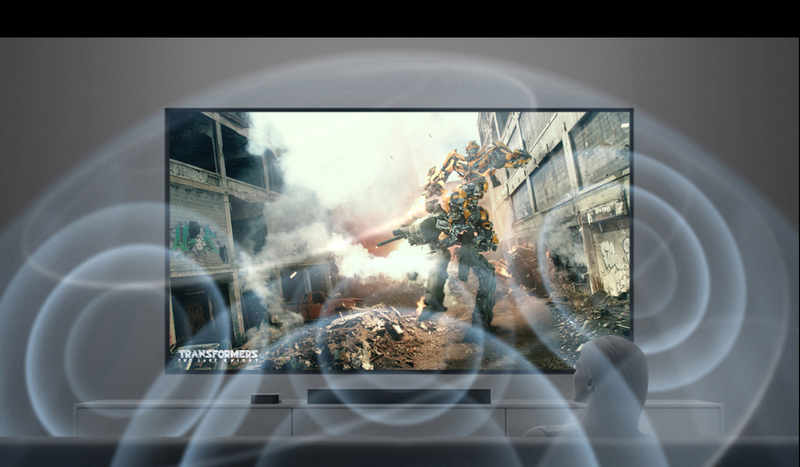 Accessing Dolby Atmos features requires Dolby Atmos–capable devices. Playback quality will depend on hardware and Internet connection. 2.Subscription may be required to access some content. Live sport subject to blackouts. Title availability is subject to change. Some applications are not available in all areas. Application availability is subject to change. 3.iCloud requires an iCloud-enabled device. Some features require iOS 12 and macOS Mojave. Some features require a Wi-Fi connection. Some features are not available in all countries or regions. Access to some services is limited to 10 devices. 4.Apple Music requires a subscription. The Greatest Showman is available on iTunes. The Greatest Showman © 2017 Twentieth Century Fox Film Corporation. All rights reserved.The LEGO Batman Movie is available on iTunes. The LEGO Batman Movie © 2017 WBEI. TM and © DC Comics. © 2017 The LEGO Group. All rights reserved. Justice League is available on iTunes. Justice League © 2017 Warner Bros. Entertainment Inc. and RatPac-Dune Entertainment Inc. Justice League and all related characters and elements are trademarks of DC Comics. All rights reserved. Watch these titles now. Netflix streaming subscription required. Paddington 2 is available on iTunes. Paddington 2 © 2017 STUDIOCANAL S.A.S. All rights reserved. Paddington Bear™, Paddington™ and PB™ are trademarks of Paddington and Company Limited www.Paddington.com. Ready Player One is available on iTunes. 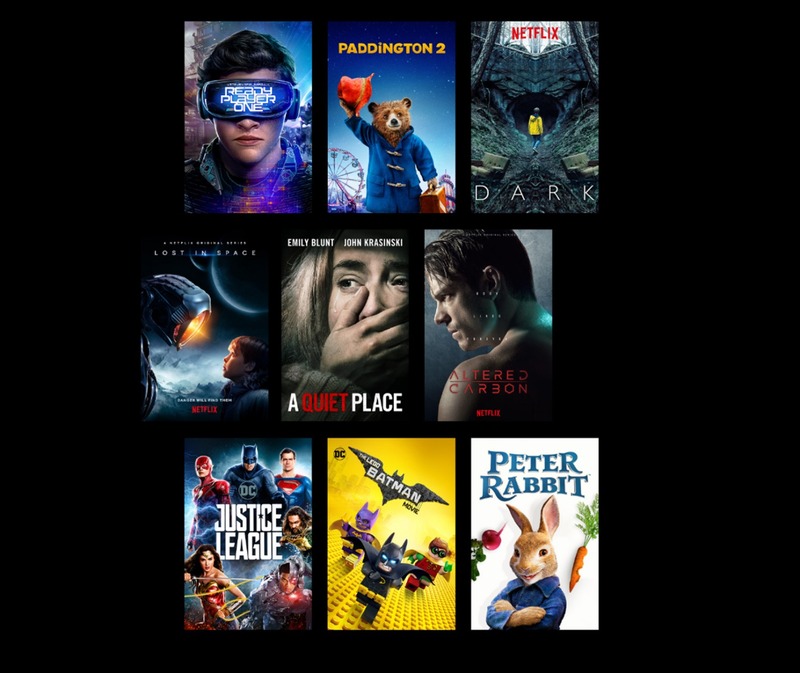 Ready Player One © 2018 WBEI., Village Roadshow Films North America Inc., RatPac-Dune Entertainment LLC. and Village Roadshow Films (BVI) Limited. All rights reserved. A Quiet Place is available on iTunes. A Quiet Place © 2018 Paramount Pictures. All rights reserved. Peter Rabbit is available on iTunes. PETER RABBIT™ & © Frederick Warne & Co. PETER RABBIT™, the Movie © 2018 CPII. All rights reserved. Tom Clancy’s Jack Ryan is available on Prime Video with Prime membership. Jack Ryan © 2018 Amazon Content Services LLC. All rights reserved. Vanity Fair © ITV. All rights reserved. Watch Poldark on BBC iPlayer. Poldark © Mammoth Screens. All rights reserved. Bosch is available on Prime Video with Prime membership. Bosch © 2018 Amazon Content Services LLC and Fabrik Entertainment, Inc. All rights reserved. Watch Carpool Karaoke free on the Apple TV App. Deadpool 2 is available on iTunes. Deadpool 2 © 2018 Twentieth Century Fox Film Corporation. © 2018 MARVEL. All rights reserved. Rampage is available on iTunes. Rampage © 2018 Warner Bros. Entertainment Inc. All rights reserved. Transformers: The Last Knight is available on iTunes. Transformers: The Last Knight © 2018 Paramount Pictures. Hasbro, Transformers, and all related characters TM and © 2018 Hasbro. All rights reserved.